1939/45 Star, Pacific Star, War Medal, Australian Service Medal and the Return from Active Service Badge. 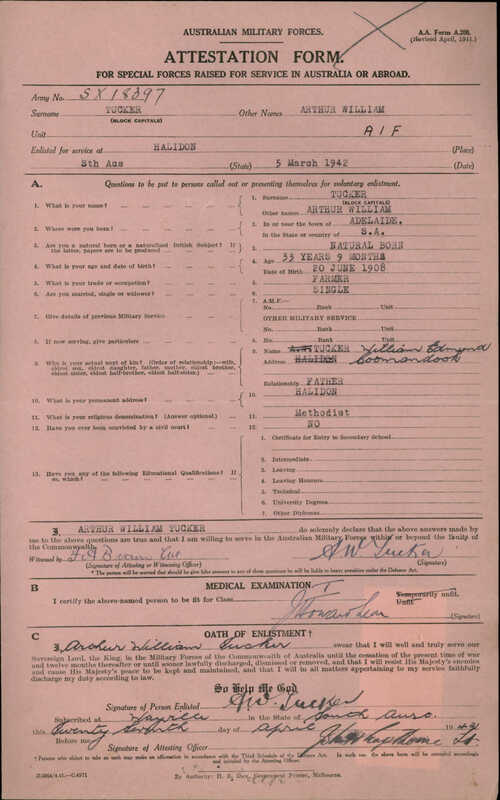 Place of Enlistment - Battle Station, New South Wales, Australia - Next of Kin at time of enlistment Mark Baldwin. The Funeral Service of Frank Baldwin, Urunga Lawn Cemetary, Urunga, New South Wales. [S34] National Archives of Australia, 6 (Reliability: 3), 21 Jun 1943. [S34] National Archives of Australia (Reliability: 3), 21 Jun 1943. Frank enlisted in The Australian Army on 21 Jun 1943 at Battle Station,New South Wales. He served until discharge 06 Aug 19467 in 2/33 Australian Infantry Battalion.